We constantly invest in the research and development (R&D) of our industry; aiming to produce high quality products and to improve our production processes. 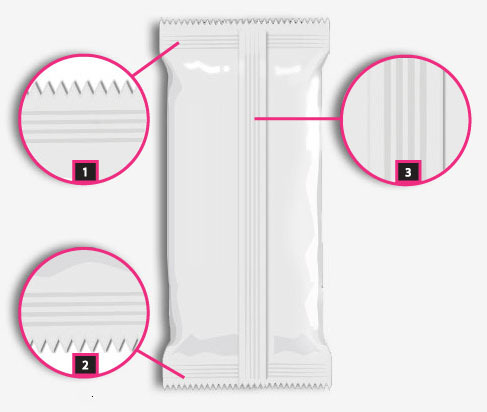 The 4 side sealing package is based on the cold-sealed method fusion of the four sides. This method is ideally used for flat product types such as stickers, tazos, cards and tattoo. The materials used can either be printed (for collections packaging) or white and they proper for direct impact with foods. 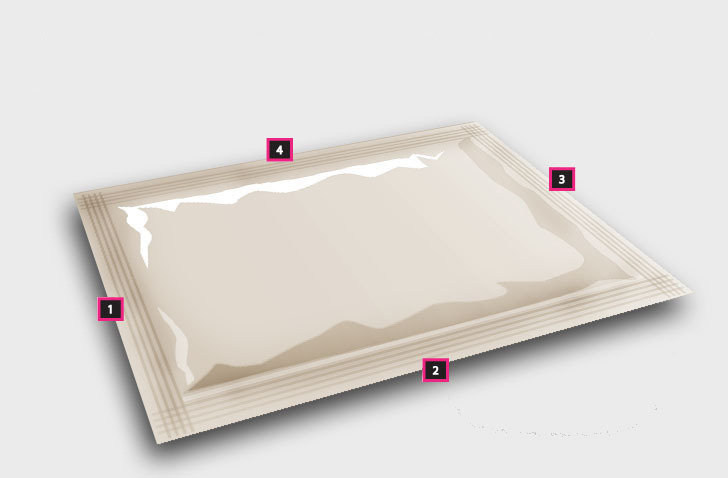 The flow pack packaging is based on the thermo-sealed method fusion of three sides: up, down and center. 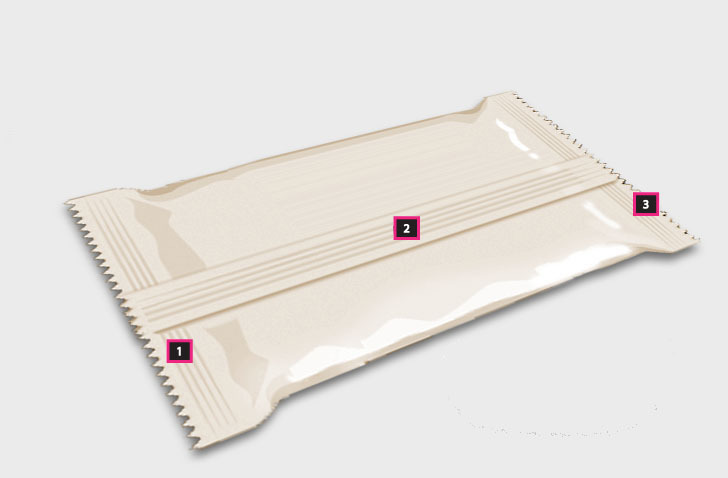 The dimensions and the packaging materials can vary according to the needs. 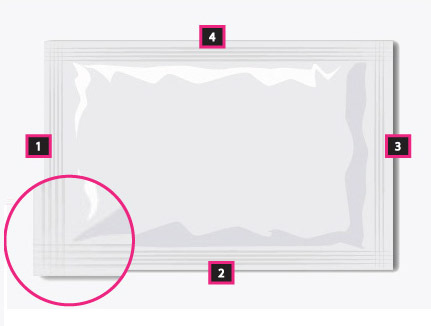 For example, a transparent film can be used for direct impact with foods, or a printed film for other cases. 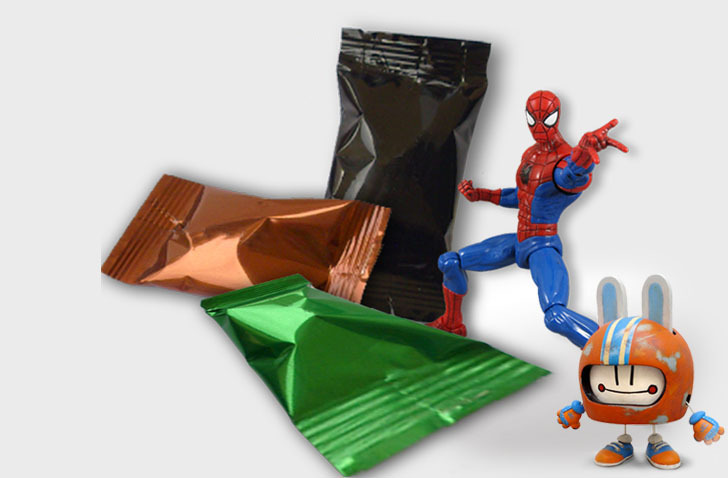 The flow pack method (three point) is used for packaging three dimensional objects such as small toys and figures. A transparent film is suitable for direct impact to foods, or printed film for other kind of products.